There is something about a canoe trip that is just so resoundingly Canadian. This country’s very early history was written by men in canoes paddling near and far in search of furs and places to settle. Even now in the 21st century you can feel a sense of comradery with those voyageurs as the blade of your oar cuts its course through the water and propels you into the unknown. 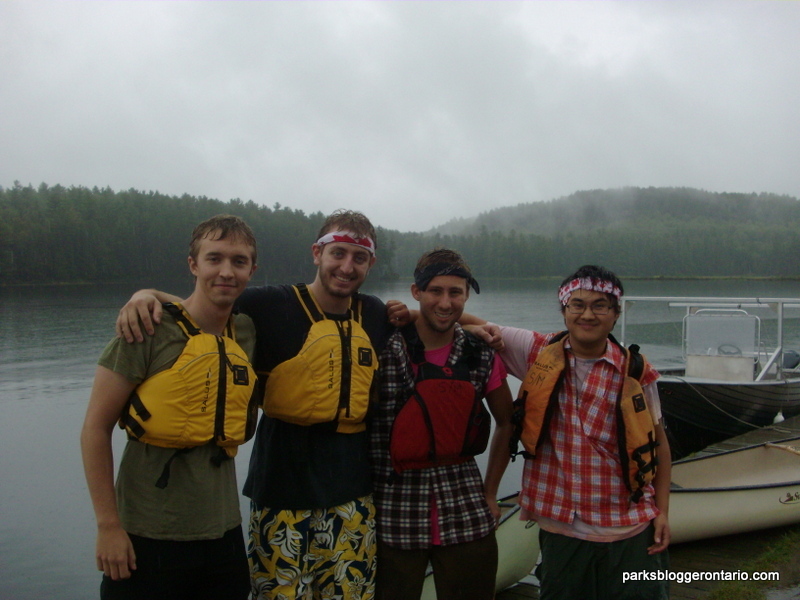 It was with that sense of adventure and exploration that I set out with 3 friends in the late summer of 2010 to accept Pierre Trudeau’s challenge and paddle 100 km around Algonquin Provincial Park. It should be said that our understanding of Trudeau’s words involved some interpretation. 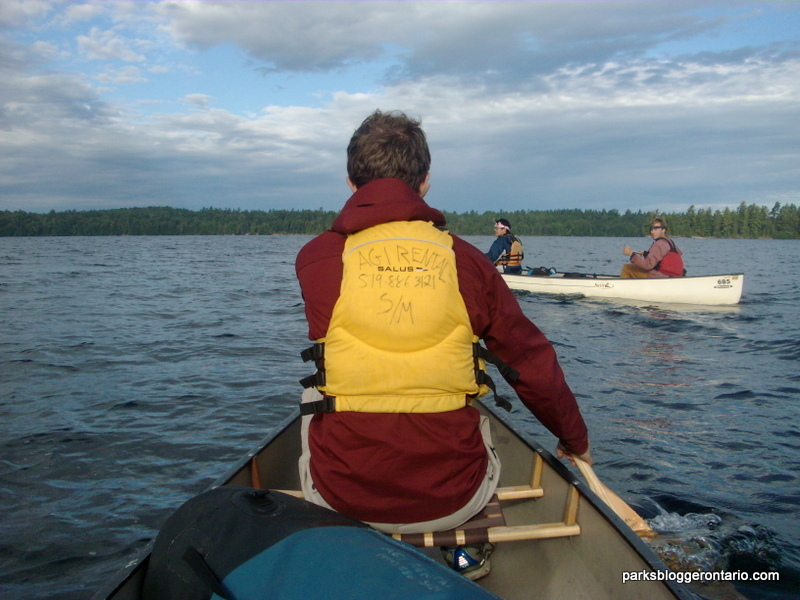 The actual quote instructs that paddling 100 miles is necessary to become a child of nature, but we decided early on that he must have meant kilometers. This being Canada, and he being one of the nation’s great Prime Ministers I am sure Trudeau would allow us the concession of staying within the confines of the metric system. Much paddling laid ahead of us as we set out on a rainy September morning and we only had 5 days to cover it all. We didn’t know it then, but rain would come to define the trip. Had we known ahead of time what the forecast would bring we might have rescheduled, and it would have been our loss. While most people dread rain on a camping trip, the right mix of attitude and moxy transform clouds and drizzle into a tempest of Shakespearean proportions. Another obstacle to overcome on your way to greatness. That being said, canoeing does pose some risk and anyone venturing into the wilderness should have the necessary equipment and knowledge to stay safe, but just because you are safe doesn’t mean you can’t pretend that you’re not. Adventure is in the eye of the beholder. Over the next several days our muscles and brains adapted to the distance and our two canoes and the men to occupied them became well-oiled machines of paddling efficiency. We glided down rivers, bounded over waves, and howled madly into the wind that often tried to blow us off course. The thing about being outside for days on end in relentless rain is that you quickly forget the comforts of civilization and learn to cherish the little bright spots that find their way into your world. At the end of a 1200 meter portage along the Crow River on Day Two the four of us put down our boats and packs to take a rest before setting off again. As we sat eating granola bars and drinking in the scenery my boat-mate spotted a container dropped by another party. It turned out the container was segmented and held 6 different spices ranging from garlic salt to cumen to chili powder. 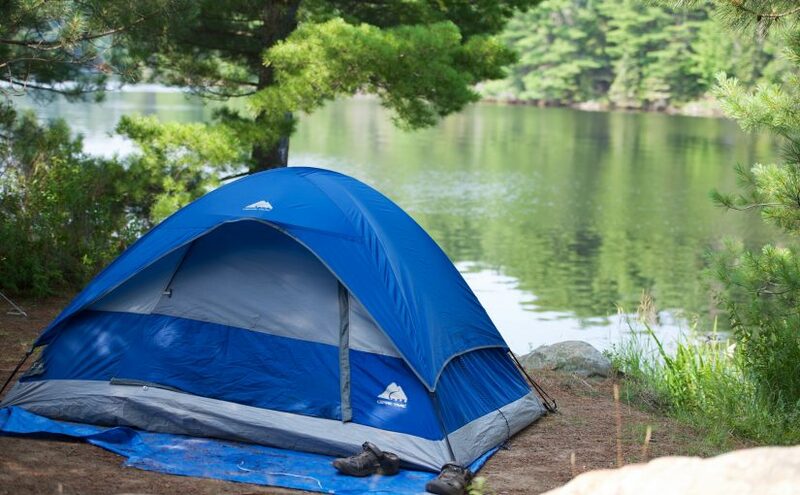 The excitement of finding that small treasure in the vast, soggy, Ontario wilderness was almost indescribable. The upshot is that within about ten seconds the four of us were jubilantly chanting “SPICES! SPICES! SPICES!” in time to an imaginary drum. Our exuberance carried us right through to the end of the day. Another long day of paddling on Day Three ended on an island in Dickson Lake where we set up camp and lit a fire in another vain attempt to dry out some of our equipment. Dickson Lake was a driving force in planning our route. The red pines that line its eastern shore are said to be the oldest trees in Algonquin at over 300 years old. It was under these trees that we laughed and joked long into the night about our adventures. Day Four was less a day of canoeing and more a day of portaging. 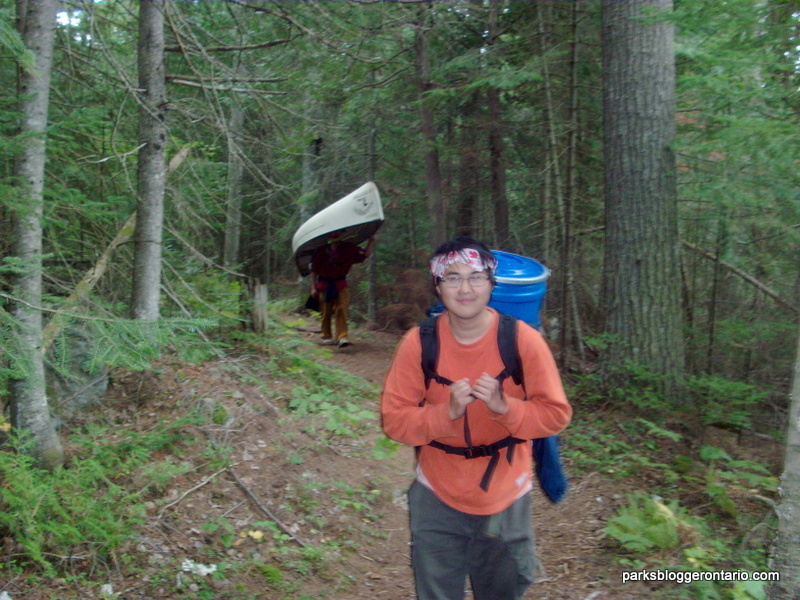 If there is one thing to know before setting off on a canoe trip that involves portaging, it is that carrying a canoe on your shoulders over any significant distance is 95% mental. If you can hum a tune and keep putting one foot in front of the other you would be surprised how much ground you can cover. On the other hand, if you choose to focus on the feeling of a hard wooden yolk digging into your collar bone with each step, you’re in for a long hike. Over our nearly 6 km of portaging on Day Four the four of us shouted words of encouragement, helped each other out, and celebrated with nips of whisky from a flask buried deep in our food barrel and meant for exactly the time and place we found ourselves in. 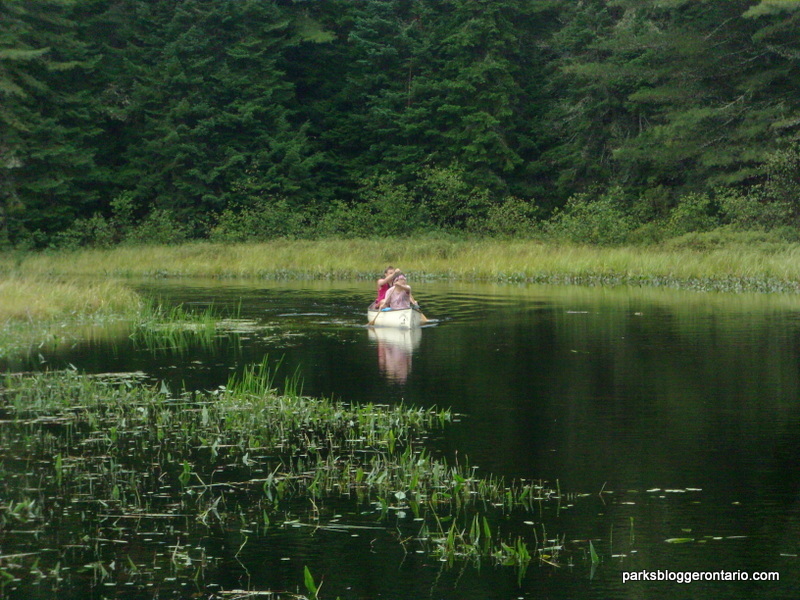 When we finally set our boats down on the shore of Opeongo Lake we knew the home stretch would be anything but easy. We charged through rough water before setting up camp on an island not far from the portage that brought us back to our starting lake. Our choice of campsite was made for us by the strong headwind and obvious foolishness of pressing on. Our last night was spent as the last night of any camping trip should be. Engaged in the time honoured tradition of attempting to eat all the food you have left and don’t want to carry with you the next day. We gorged ourselves on mashed potatoes, gravy, noodles, gummy bears, and anything else we could find in the recesses of the food barrel. We sat stuffed on rocks at the water’s edge as a firey orange sun dipped below the horizon. On the morning of Day Five we loaded up the canoes and pointed the bows towards civilization. Before setting out, my paddling companion and eventual best man at my wedding stood on a rock platform and gave us his interpretation of a speech meant to stir the ambitions of an army. “In every man’s life” he began, “there comes a day, when after doing something hard for several days in a row, he must do something hard again. For us, this is that day!” With that we surged into our boats and out across the lake. Within a few hours we were back at the launching point with our hearts and minds set on finding a place to get a burger and some fries. Our century of kilometers in the books and our statuses as children of nature firmly secured. To this day, when we are all together, it is not unusual for someone to begin a chant of “SPICES! SPICES! SPICES!” and have everyone else join in with the same excitement that we felt that day on the banks of the Crow River. 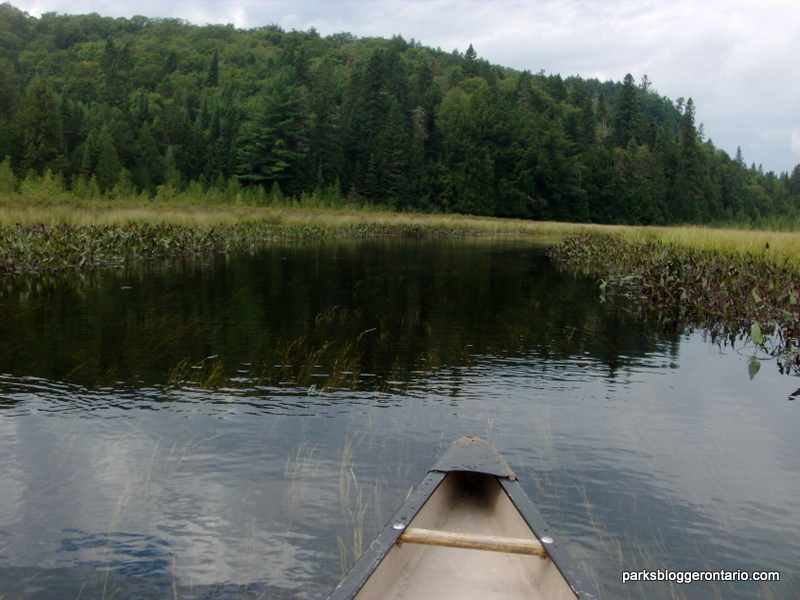 No matter how much time passes, canoeing a century will always be one of my favourite memories of Algonquin.